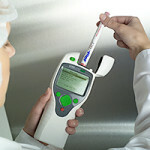 Ethanol | Tank Cleaning Technologies, Inc. 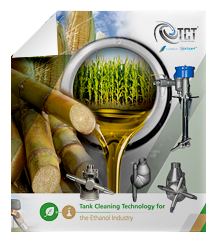 Tank Cleaning Technologies is a major supplier of tank cleaning equipment and systems to the ethanol (synthetic fuels) industries worldwide. Primary products supplied to this industry are listed below. The SC40RT is an external drive tank cleaning machine and is far superior to conventional tank cleaning machines. With an almost zero maintenance track record in numerous existing ethanol plants around the world for 5 years plus operation. Highest impact values of the cleaning jet due to low pressure drop through the cleaning device. This device will handle 20 times the solids that a conventional tank cleaning machine can. The SC15TW is a conventional tank cleaning machine and is currently installed in hundreds of ethanol plants around the world. Maintenance is easy and has the lowest maintenance cost of any conventional tank cleaning machine on the market today. Tank Cleaning Technologies via our ATP Cleaning Validation Products can optimize and validate your cleaning process to insure good cleans every time. Our process can confirm biomass levels in your cleaning results in less than 2 minutes. Reductions in effluent waste generations of 50% or more are not uncommon. Plant surveys at no cost are available by contacting sales@tankcleantech.com. For case histories on various Ethanol Plant successes, please contact the sales department at sales@tankcleantech.com or by phone at 281-480-4041. Contact Tank Cleaning Technologies at +1 281.480.4041 or at sales@tankcleantech.com for an evaluation of your ethanol tank cleaning needs.